He claims that on three occasions since July he has been disciplined and placed in solitary confinement as punishment. 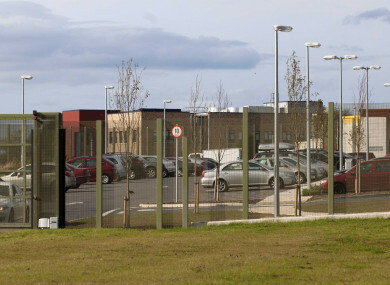 A 15-YEAR-OLD boy currently detained at Oberstown has launched High Court proceedings arising out of his alleged unlawful segregation and punishment in the children’s detention centre. The teen is detained at Oberstown on foot of orders made by a judge at the Children’s Court after the boy admitted causing criminal damage, committing an assault, theft, robbery, and trespass. He claims this punishment is unlawful because there are no procedural safeguards in place relating to his separation from other detainees and associated deprivations including loss of association, communal recreation and access to structured activities for several days. The teen says was not allowed to appeal the decisions nor was he informed how long the alleged ad hoc punishment would last. He was not provided with any formal written decision containing adequate reasons as to why he has been subjected to this punishment regime, he claims. Earlier this month, the teen was detained in solitude and prevented from interacting with other boys when after he was of several detainees involved in a disturbance at Oberstown’s gym. He also claims during the course of that punishment he was forcibly returned to the regime after he refused to return to solitary while he was taking exercise. The teen represented by Patrick McGrath SC, Amy Deane BL instructed by Matthew Kenny of O’Sullivan Kenny Solicitors said the punishment is unlawful and in breach of the boy’s rights. McGrath said that one of the key issues the teen intends to raise in his action is that findings made in a 2017 judgement by High Court Judge Úna Ni Raifeartaigh have not been implemented by the government. Legislation has been drafted, but it has not been introduced rendering the teen’s segregation is unlawful, counsel said. In actions brought by four detainees who claimed they were isolated from other boys following a serious disturbance at the facility, the judge found that no procedural safeguards relating to imposition of separation and associated deprivations, particularly the formal written recording of decisions and reasons regarding imposition and continuation of the separation regime. Counsel also said detainees at Oberstown are in a much worse position than adult prisoners in Irish prisons. Counsel said adult prisons said have clearly defined disciplinary procedures and processes included in the prison rules. As a result of the punishments the teen, who cannot be identified for legal reasons, has secured permission from the High Court to bring proceedings against the Director of Oberstown Children’s Detention Centre and the Minister for Children and Youth Affairs and the State. The teen seeks various orders and declarations including orders compelling the Minister for Children to enact rules governing the control and management of places of detention for children and the maintenance of discipline and good order generally in them. He also seeks orders that he be provided with adequate reasons from the Director of Oberstown for his segregation and punishment. He further seeks declarations including that the teen’s constitutional rights and rights under the European Convention on Human Rights have been breached and that placing the teen in solitary confinement is unlawful. His counsel said that the teen has already been isolated from his peers on three occasions, and there was a strong possibility that it may happen again. The matter will return before the High Court in October when the new legal term begins. Email “Oberstown teen launches High Court case over alleged unlawful solitary confinement”. Feedback on “Oberstown teen launches High Court case over alleged unlawful solitary confinement”.